Just a Few Happy Snappets Customers! Why carry Snappets in your Retail Store? Snappets uses only quality materials ensuring safety first! Open your wholesale account today! 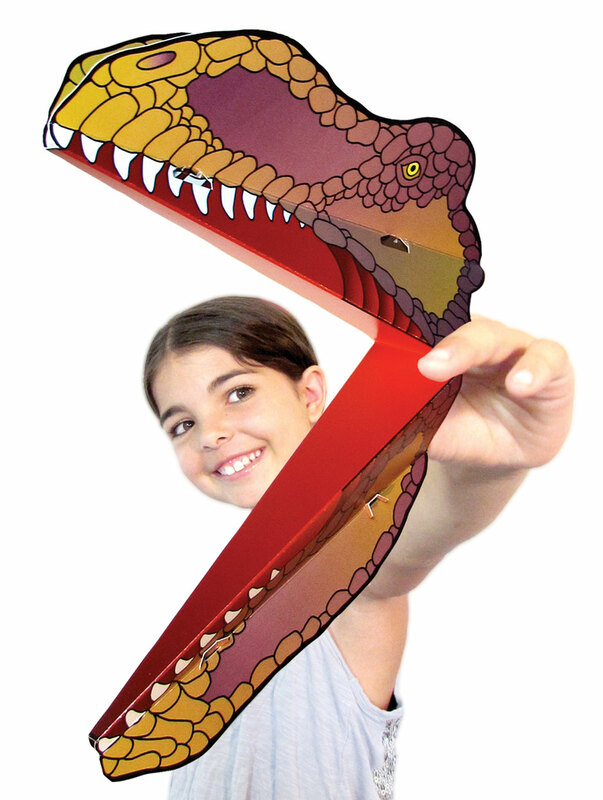 Snappets offers two types of puppets for wholesale - Dinosaur and Dragon Puppets. The puppets are offered in packs of 2 and 4. CLICK HERE to open a new wholesale account! Snappets first release is a full line of Dinosaur Snappets with 8 designs in the series: Ankylosaurus, Archaeopteryx, Elasmosaurus, Parasaurolophus, Pteranodon, Triceratops, Tyrannosaurus and Velociraptor. Each design is available in two styles: Full-color and Colorable! Retailers can purchase any mix of four variations of Dinosaur Puppets packages. Packages 1 & 2 are full-color and packages 3 & 4 are able to be colored in before constructing! Included with all packaging are four puppets and wrap-around packaging with instructions printed on the back, all neatly fitting into an 11"x17" resealable plastic bag. Open your wholesale account today! Snappets also offers Dragon Snappets to retailers. With the Dragon Master Foundation we produced a two-toy set with wrap-around packaging. Two colors schemes for the toys were chosen: one green and one violet. A portion of all Dragon Snappets sales go to Dragon Master Foundation. Included with all packaging are two puppets (one green and one violet), wrap-around packaging with instructions printed on the back, two sets of rubber-bands, and two stickers, all neatly fitting into an 8.5"x11" resealable plastic bag. Open your wholesale account today! Snappets Are a Great Promotion Engine! Snappets are customizable and scalable for any business, parody or entertainment use! Read about Science Fun and the Custom Snappets Project we developed together! Charities Choose Snappets To Help Raise Money! Non-profits see the value in Snappets Customizable solutions to create unique fund raising gifts and tool!